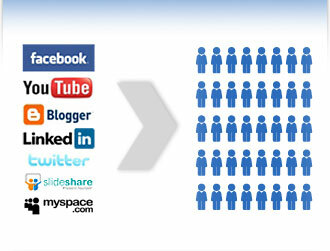 Social media marketing is an essential practice if you are serious about online success for your business. What happens is many businesses set up a couple social media sites and think “If you build it, they will come”. But that couldn’t be further from the truth. There are specific habits and skills you need in order to create the amount of success using social media marketing that will have an impact for your business growth. The most important thing to realize about social media marketing is that you have to be in it to win it. Put it on your daily things to do list to spend at least twenty minutes per day at each social media site that your business has profiles at. This is a habit to create for the long haul. If you do not post regularly or interact with others, then no one is going to remember you and having your business fresh in customers and potential customers minds will have a direct impact on your conversion rates. Along with making your social media marketing efforts a daily event, have a plan and stick with the plan. Just surfing around aimlessly and posting benign or “quote of the day” type of posts are going to bore people quickly. Add posts that will create value for your target market. For example, if you sell auto supplies, post tips about car care or other important car industry news that your target market will really enjoy. Keep posts positive, while there are drama junkies out there that will love to hear how you are enraged over any variety of topics, it is simply unprofessional and you risk losing respect as an established business. The 10% or so of personal posts you make should be positive and entertaining, not drama filled and useless in your overall marketing goals. “Congratulate Customer Service Representative Tammy for her new pound puppy” with a picture of the puppy at your office is always a great way to share human interest while keep others aware you are a business. While you are posting, make comments. People want and need to feel heard and engaging with them is going to go further than just allows posting at them. Most of all, keep your expectations reasonable. Social media marketing is an invaluable tool for business growth, but unless you have a product or service that can continually put out viral posts and top level engagement, it is going to be a slow growing process. Slow and steady wins the race though, so stick with the best practices and watch your business growth slowly build up to some great success.